Fab Five - Get That Course Online! Attend one, some or all – pick what suits you right now! Perfect for: Trainers stuck in a rut with online course creation, needing to escape! 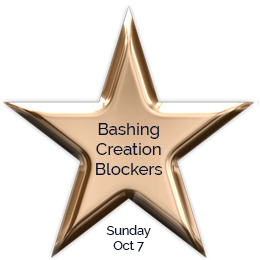 There are NINE BIG BLOCKERS to online course creation and I know at least five ways to bash each of them. Want to know them too? Imagine knowing exactly what to do when the Distraction Gremlins come calling, or the Curse of Confusion strikes. There are FOUR key steps to complete before you even get to decide your online course title. Discover them and the six that follow! Don’t spend forever putting together your course only to find no-one watches more than 10% of it. Find out how to make it compelling and engaging viewing! Perfect for: Trainers who want to be on camera in their course, but can’t face it yet! Online learners want to get to know you – they want to know they can trust what you’ve got to teach them. Creating rapport and engagement in your online course is doubly-difficult if you’re not on camera building a relationship. Pricing your online course has nothing to do with its length and your promotion should never involve ‘freebies’. Understand how to price and promote for optimum sales. An effective pricing and promotional strategy can mean the difference between a flyer and a flop. Learn the different ways to pin your pricing and promotional strategies down! Building an online course can be deeply satisfying. Selling it (on repeat for no extra work) can be even more so! Find out the full structure of launch webinars. An effective launch webinar can be responsible for 75% of your course sales after creation finishes. Hit the tipping point in record time, to enjoy pure profit on your creation. Discover the nine blockers to creating your online course and how to bash ’em into submission! Get your structure spot on for online learners so they come back for more! Learn the Three Steps into the Spotlight system to get on camera – and be confident! Pricing your course to sell and promoting it to the right people in the right way! Explore how to create webinars that deliver exactly what you need!